An immediate restoration after a storm is obviously needed to keep up with all the damages within the property. It hard to deal with storm damage restoration in Savannah especially if we don’t know where to start. Taking care of our home would mean hiring storm damage restoration professionals in Savannah, the best is Service Master Restore of Savannah. Since storm damage can cause more complex problems at home, it has to be handled expertly to prevent it from happening over and over again. Find out why Service Master Restore in Savannah can benefit you in many ways. Operating with the highest standards, the storm damage restoration services in Savannah understands your needs for a quick cleanup and damage repair. Don’t put yourself into confusion and inconvenience; give the backbreaking challenge to the professionals in the field. Getting rid of storm damage can also free our homes from having the growth and spread of destructive mold. 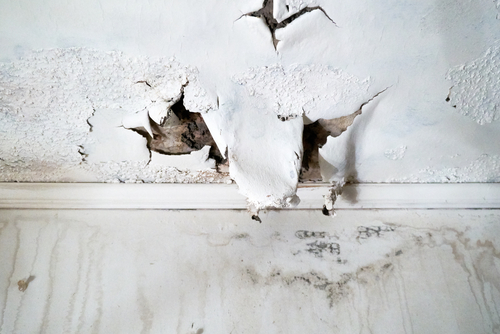 Not only does mold destroy things inside our property but it also triggers sickness like asthma and headache. After the storm, water damage usually happens. Important details involved might not be noticed and we don’t know that water damage already poses certain harmful threats at the moment. By letting Service Master Restore by Savannah perform an expert evaluation, you will surely have the peace of mind and assurance of protection. Due to an occurrence of water damage after the storm, lots of furniture and items may have been floating into the water for some time. With the knowledgeable assistance of storm damage restoration services in Savannah, you will be able to sort out things that can still be used. Service Master Restore in Savannah will coordinate the various insurance documents of the incurred damages in your property. They can also help you come up with proof of damages and a list of quintessential repairs. This can ensure a firm evidence for your insurance company. After the storm damage has hit, it is important to contact only the best service providers to prevent or eradicate the water damage caused by the storm. The Service Master Restore in Savannah is servicing Brooklet, Clyo, Eden, Ellabell, Fleming, Fort Stewart, Garfield, Guyton, Hinesville, and Meldrim. Contact ServiceMaster of Savannah at 912-244-6966 for professional storm damage restoration services in Savannah, Georgia, and its surrounding areas.